Weekends are for indulging, and from 13 July to 9 September 2018, Marina Square is bringing foodies together with Foodiegram Sundays! This gastro-centric event aims will give you the opportunity to choose set meals from over 10 restaurants at only $25 per person (worth a value of up to $40). With the purchase of a ticket, diners are entitled to book a slot at a participating restaurant and redeem their meal as well as receive a $5 Cake Club voucher. To whet your appetite, here are 10 restaurants that you and your family can visit the next few Sundays! For this exclusive event, Collin’s is offering an appetising and value-for-money set that serves two people! Warm up your appetite with two Trio Wild Mushroom Soups and one Classic Caesar Salad to share. Then get ready to eat your fill with a full platter that consists of ½ Roasted Chicken, ¼ BBQ Pork Ribs, ¼ Saint Louis Style Pepper Pork Ribs, duo of Sea Tiger Prawns, a Bratwurst Sausage, French Fries, Corn Cob, Coleslaw and Mesclun Salad. There’ll be dessert waiting for you; the Baked Caramel Banana With Ice Cream & Seasonal Fruits. Don’t forget that there’s also Orange & Lemon Iced Tea to boot! This deal is well worth the indulgence. Known for their signature roast duck, you’ll be glad to know that your scrumptious lunch set at Dian Xiao Er will include a small portion of their succulent Duck Roasted With Angelica Herb, served with a side of either white or brown rice. To keep your green intake in check, you’ll also get their Homemade Wheatgrass Tofu With Seafood (small). Wash it all down with a refreshing Cucumber Lemonade. We know you’ll be more than satisfied with this Asian favourite. This establishment is a no-frills eatery that serves hearty local and Western plates. With the offer, you’ll be treated to Han’s Caesar Salad and Soup of the Day (Mushroom) to start, with Ice Lemon Tea to quench your thirst. Then choose from three options of mains – Grilled Salmon Fillet, New Zealand Prime Sirloin Steak or Roasted Half Chicken. The salmon was cooked to pale pink and the roasted chicken was amazingly juicy! Finish off with a sweet note, with their Chocolate Gateaux, which had a soft, spongey centre, topped with a bittersweet chocolate cream. A great option for your family’s Sunday lunch! Set yourself up for a fantastic Thai treat with Bangkok Jam! Open up your appetite with classic Mango Salad and a light bite of Thai Fishcakes. 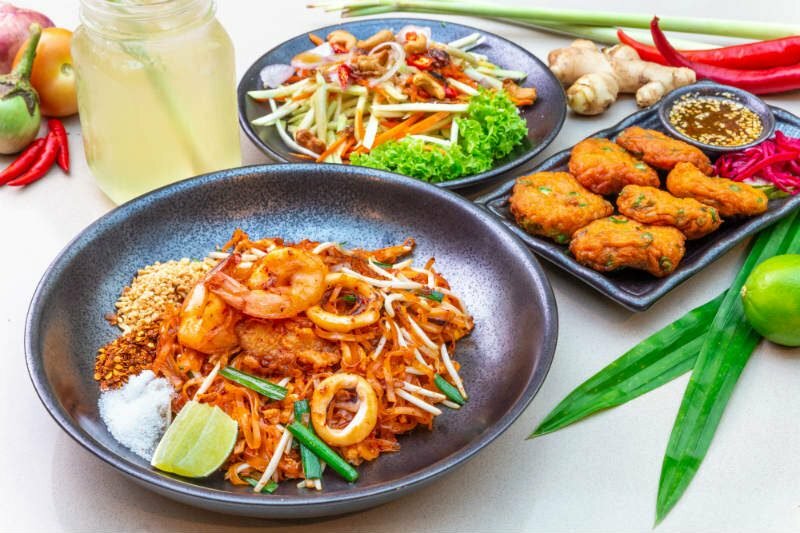 For mains, you can choose either Seafood Phad Thai or Pineapple Fried Rice, both very well-known and guaranteed to satisfy your hunger. Complement your meal with a beverage choice of either an Iced Lemongrass Drink or Iced Thai Milk Tea. This tan-thai-lising meal would make an ideal way to spice up your Sunday! Do the words ‘buffet’ and ‘hot pot’ make you salivate? Then Shabu Tan is right up your alley with their Foodiegram Sundays set that includes a single portion of the USDA Thin Sliced Beef, along with all-you-can-eat access to the buffet counter that serves an assortment of vegetables, desserts and fruits. You’re sure to score a great deal here! Japanese cuisine has got to be one of Singaporean’s favourite go-to food, besides going local. Get the most out of the Foodiegram Sundays deal by heading down to Senmi Sushi to enjoy their Cucumber Furikake to start, and savour the freshness of the Chirashi Don. To finish, you’ll receive either Hot/Iced Green Tea. Simple, yet gratifying. Hone your hot pot skills, with Shang Pin Hot Pot’s divine offer that’s perfect for sharing! Get a whiff of their Meat Platter, consisting of Mutton, Beef and Black Pork. You’ll also receive the Mushroom Platter and Vegetable Platter, with the choice between Mala or Tomato soup base. Who can say no to a tasty treat for two? This Chinese restaurant has become one of the most well-known and well-loved among diners for its consistently delicious and tantalising dishes. Now’s the time for you to celebrate Sundays with PUTIEN, as you treat yourself to their Braised Homemade Beancurd and PUTIEN Sweet & Sour Pork With Lychees. Complement the meal with Fried Heng Hwa Bee Hoon and top the afternoon off with Pumpkin Cream With Ice Cream. Finally, satisfy your thirst with cooling Chrysanthemum Tea. No better way to while away your Sunday! Tantalise your taste buds with an authentic Peranakan fare at Tingkat PeraMakan. For this promotion, you’ll be spoilt with a starter of Sambal Bendi. Choose one of three mains, Ayam Kleo, Babi Pongtay or Nyonya Pork Ribs. To accompany that, you can either have Nyonya Tauhu or Cinchalok Omelette to spice up your meal. There’s also an option to add either Nyonya Chap Chye or Sayur Lodeh for your daily dose of vegetables. End your meal by beating the heat with icy Chendol, and sipping on either Coffee or Tea. Let your senses rejoice in all the rich flavours! Who said vegetarian food isn’t exciting? Let Green BA change your mind! Start off their Green Medallion, made of peas and mashed potato. It’s surprisingly delightful, even for those who may not be a fan of their greens. Follow up with a savoury Truffle Aglio Olio. For a dish that doesn’t use any garlic and onions, the pasta tasted really rich. Spoil yourself with the Tiramisu, we have to admit, it’s one of the best in town we’ve ever had! We guarantee you’ll think twice about turning down a vegetarian meal next time. With a plethora of choices to spoil yourself over the next several Sundays (and at such a steal! ), there’s no reason for you not to head on over to https://msqfoodiegramsundays.peatix.com/ and purchase your tickets today! 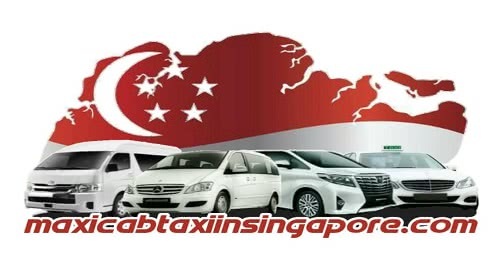 For more information on the event, visit https://www.marinasquare.com.sg/. *This post is brought to you in partnership with Marina Square.